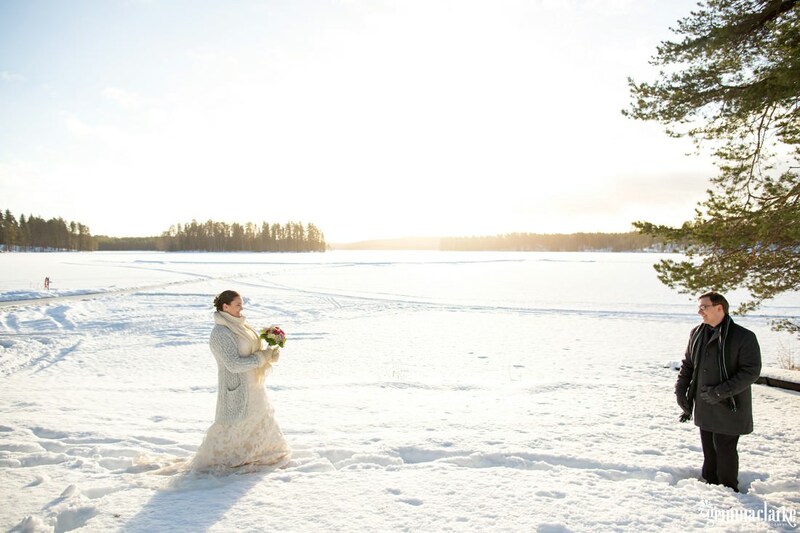 The day of the wedding we experienced a beautiful sunrise and the sun shone on and off throughout the day. 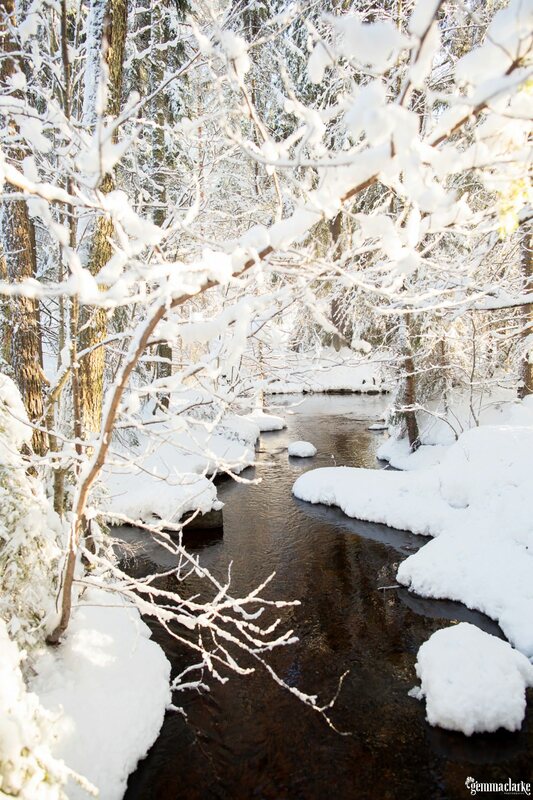 The trees had lost their snow because it had rained overnight but it was still as beautiful as ever. 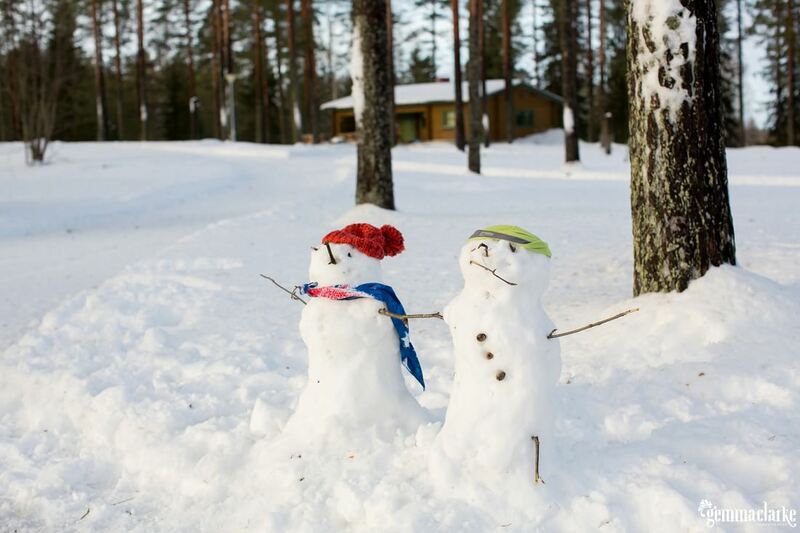 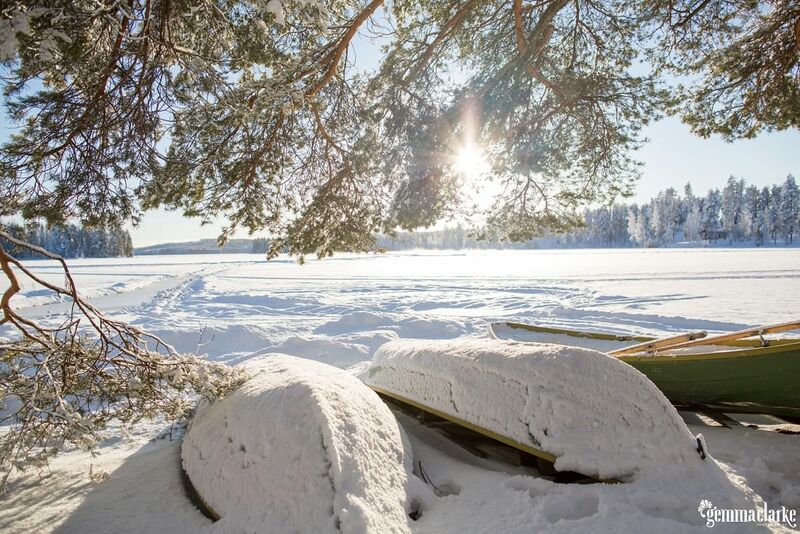 Finland really knows how to do winter! 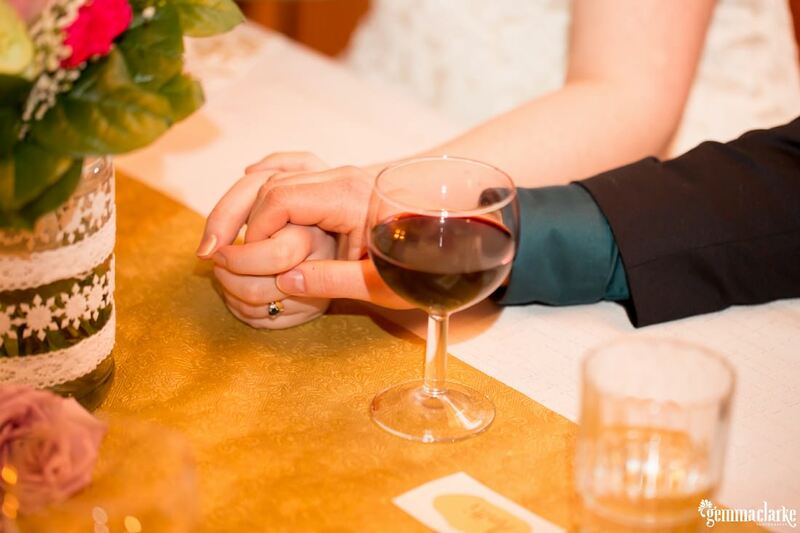 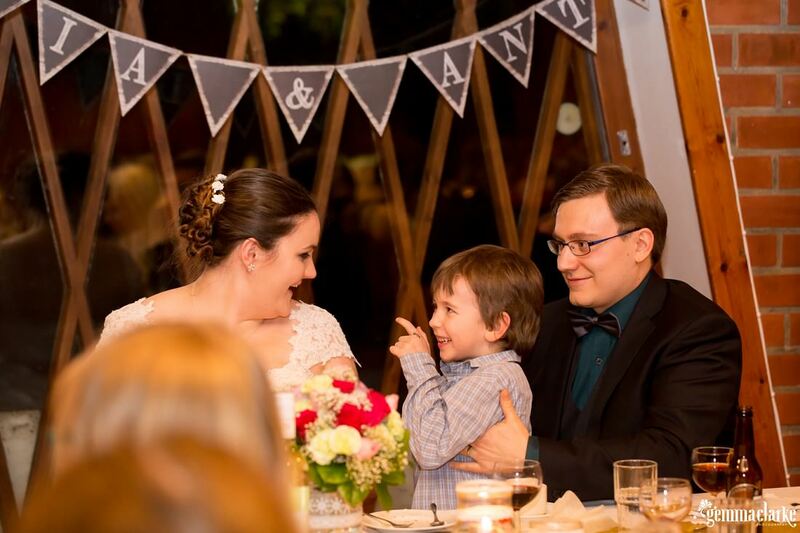 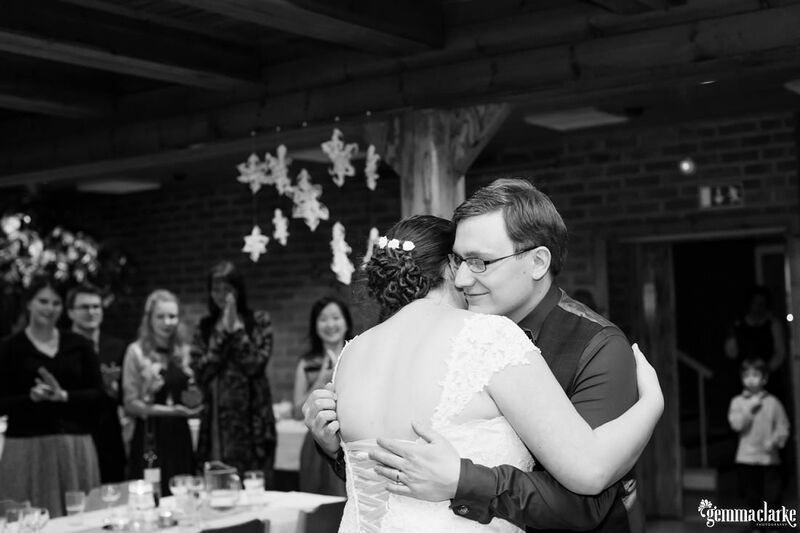 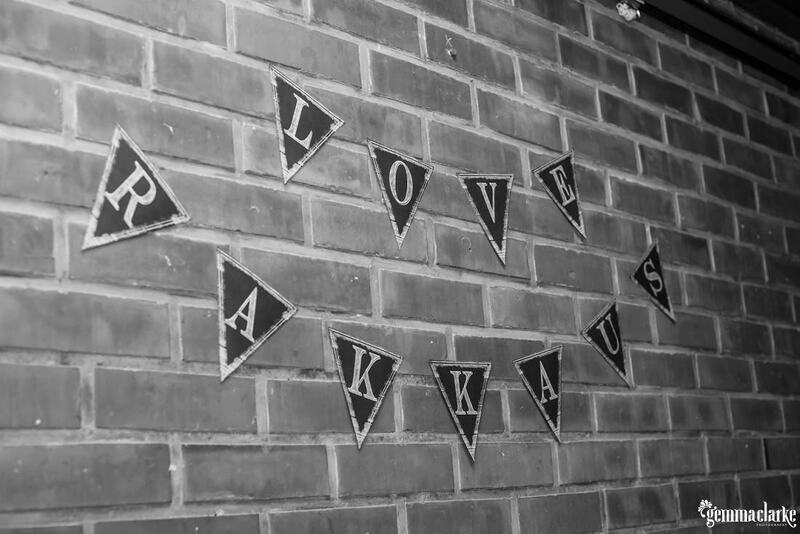 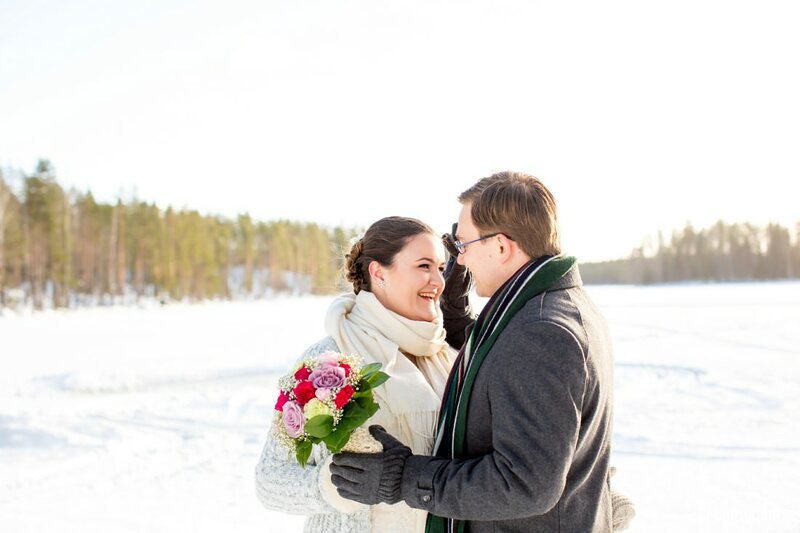 I believe the best part of the day (besides the fun at the party) was the first time Julia and Antti saw each other – their true emotions came out – happiness, tears of joy and true devotion to each other. 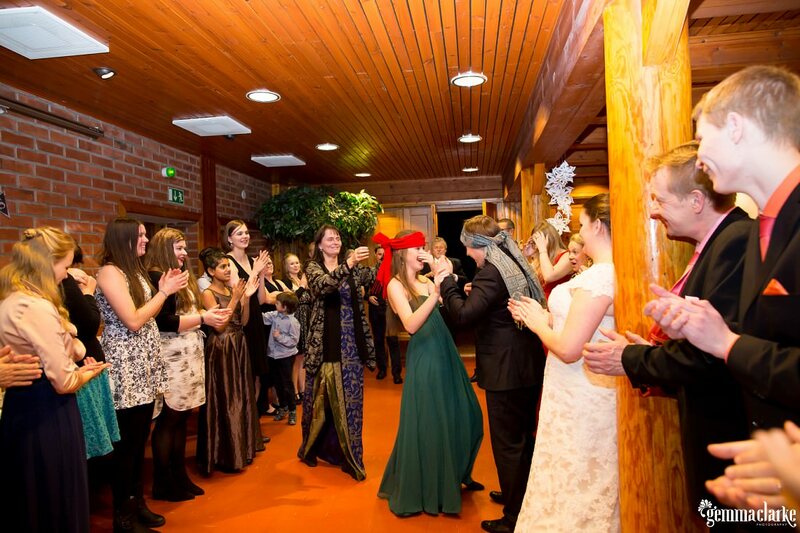 It was a beautiful moment and I feel very privileged to have been there to experience it. 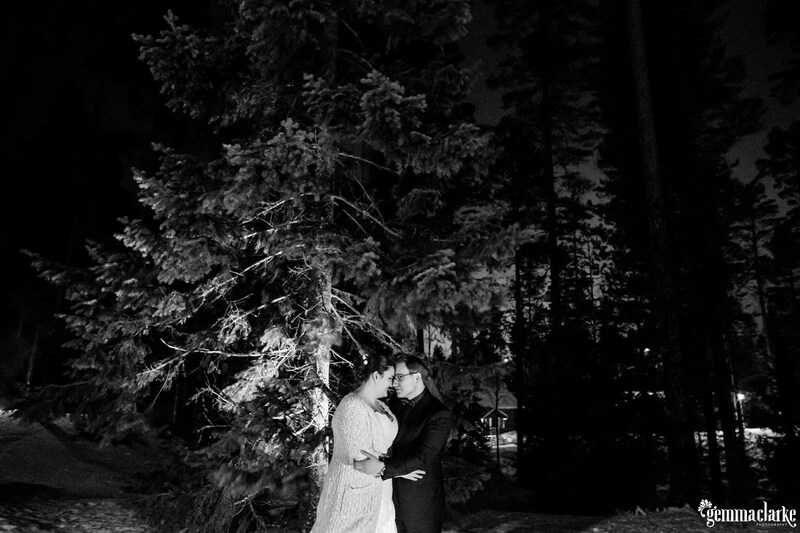 I hope you can feel the moment in the photos I captured of them by the lake. 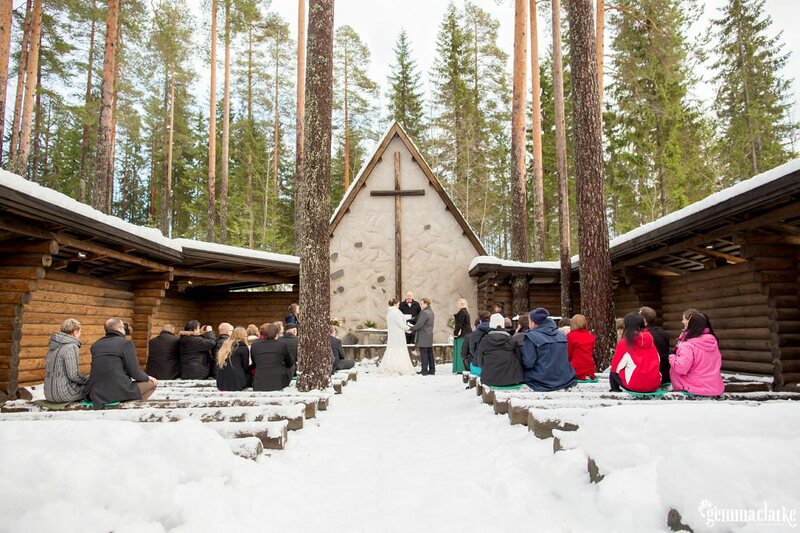 There are many logistics to think of when having a snow wedding outside – someone has to clear snow off the seating logs in the open air chapel, you need good shoes for getting through the snow, you need to wear thermals under your dress/suit and you need to transport the less able guests around and make sure the roads are cleared of snow! 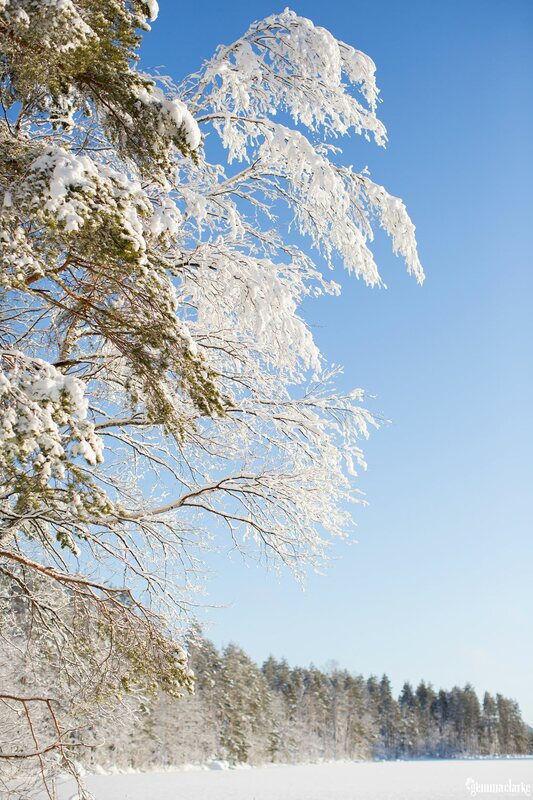 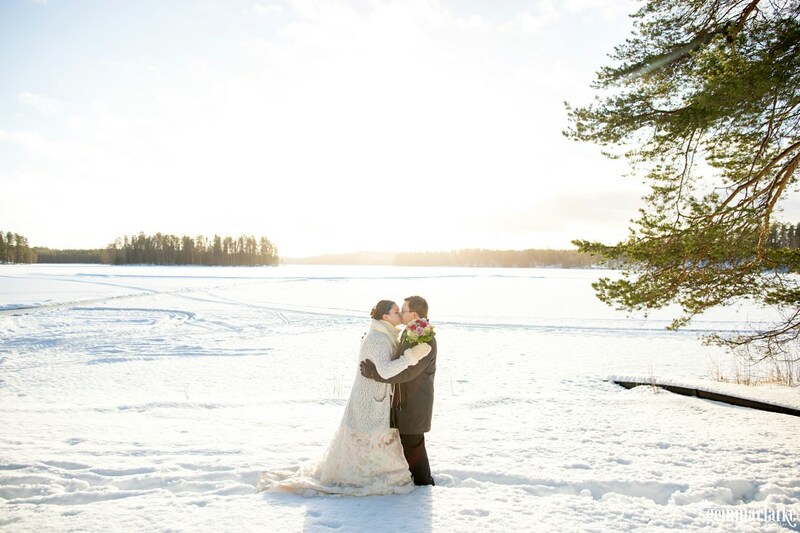 It is all worth it, of course, to have such a beautiful celebration in a winter wonderland. 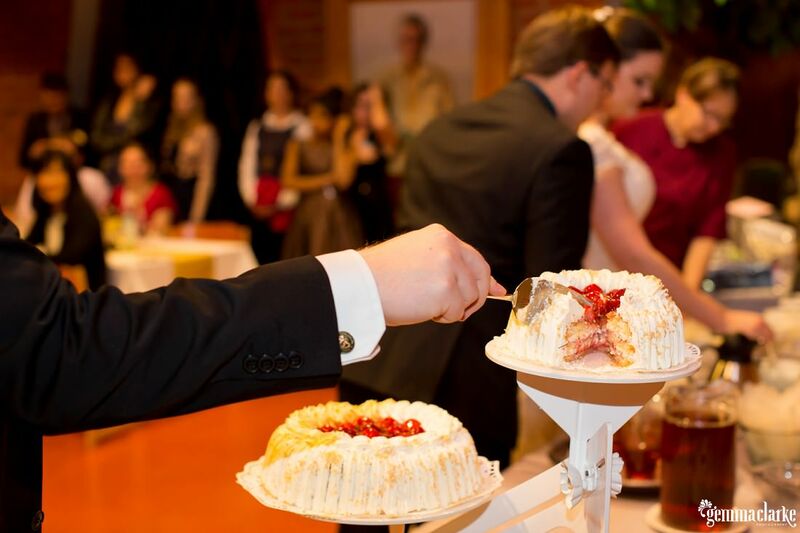 The day was also celebrated indoors with delicious reindeer and salmon and traditional berry sponge cake. 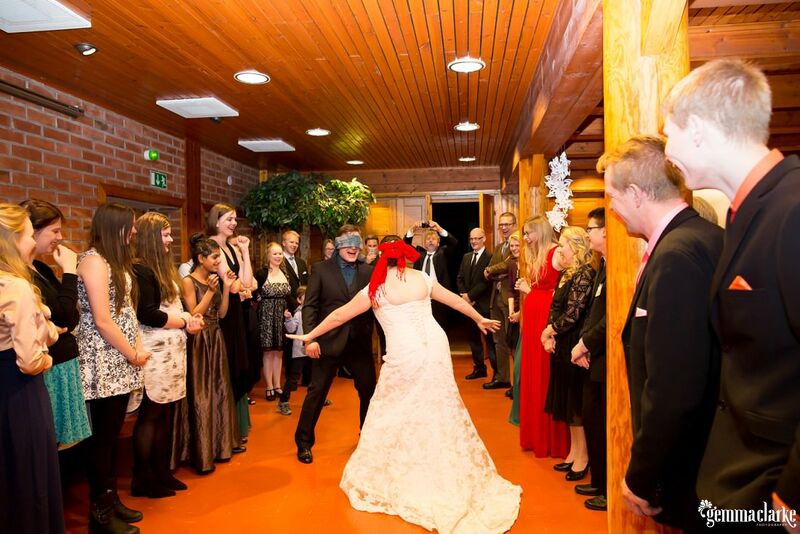 There were fun games played and the bouquet and garter toss was done on an indoor basketball court! 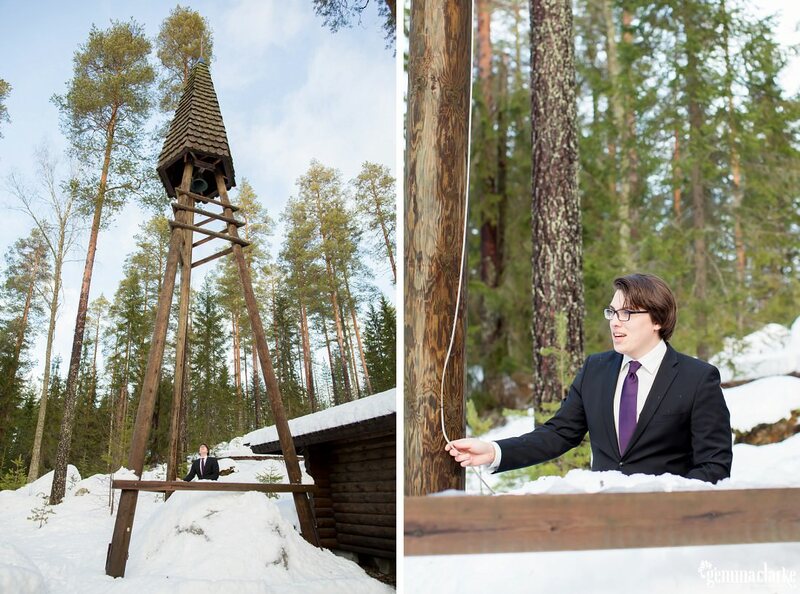 The next day was spent playing games outdoors and on a scavenger hunt. 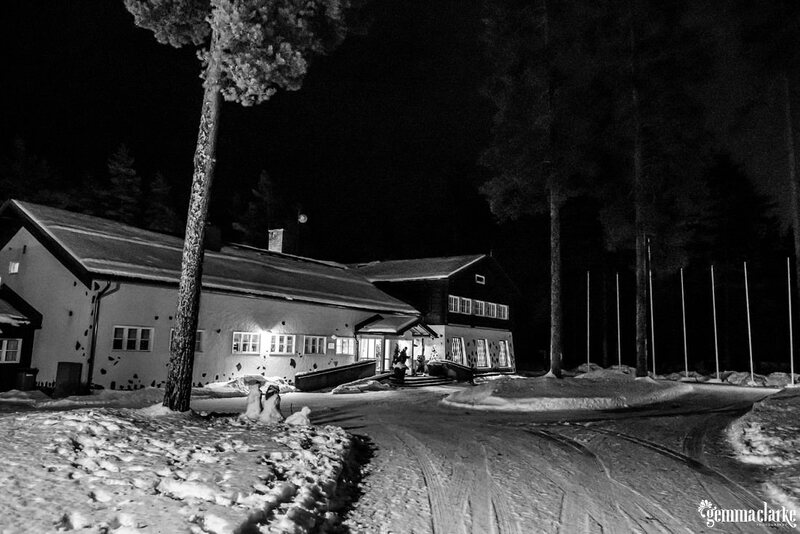 The day was finished off with cooking sausages by the fire, having a sauna and an icy swim. 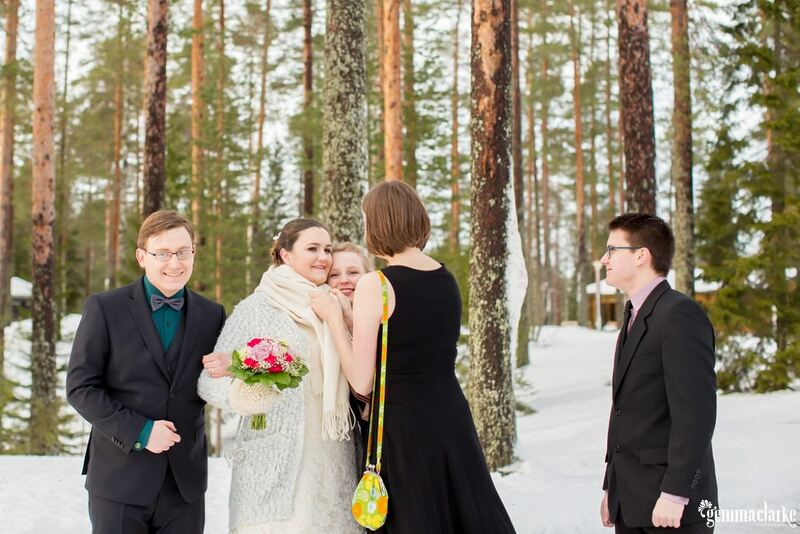 It was a great weekend and Julia and Antti did well to bring all their Finnish and Australian friends and family together in one place! 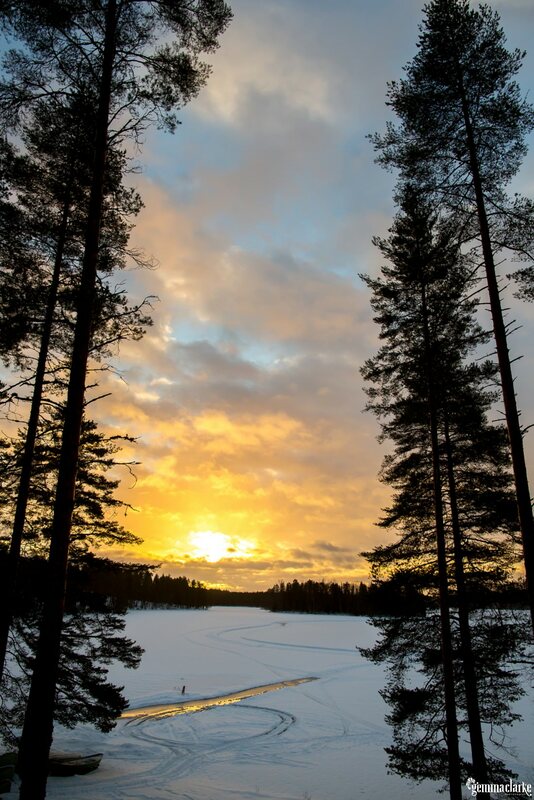 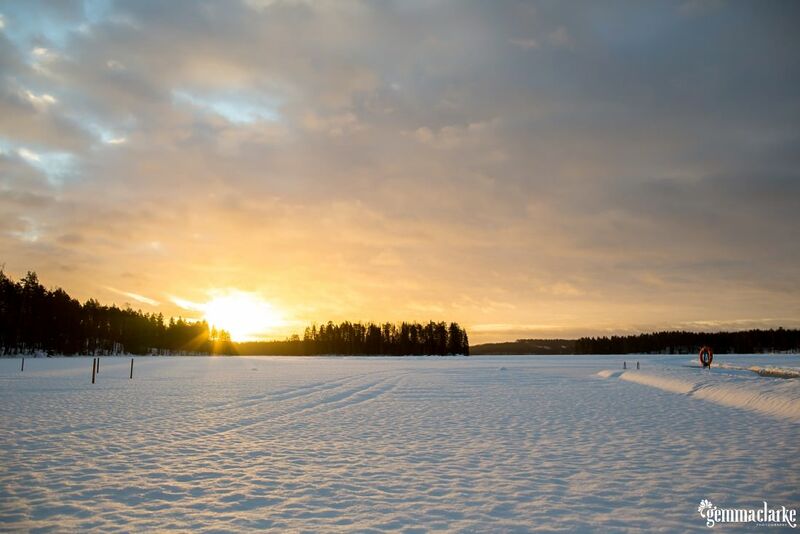 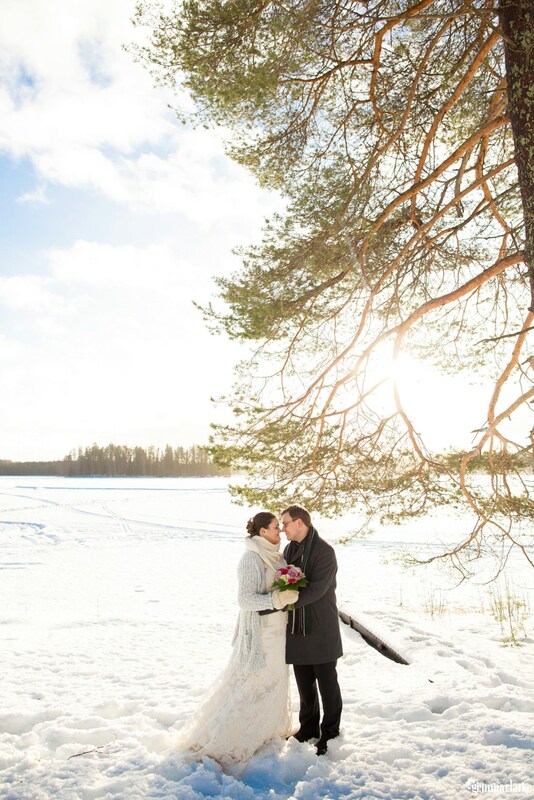 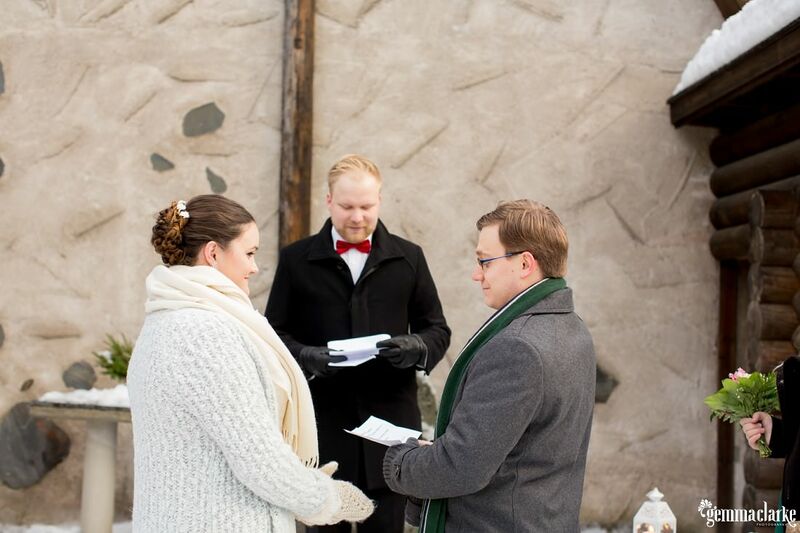 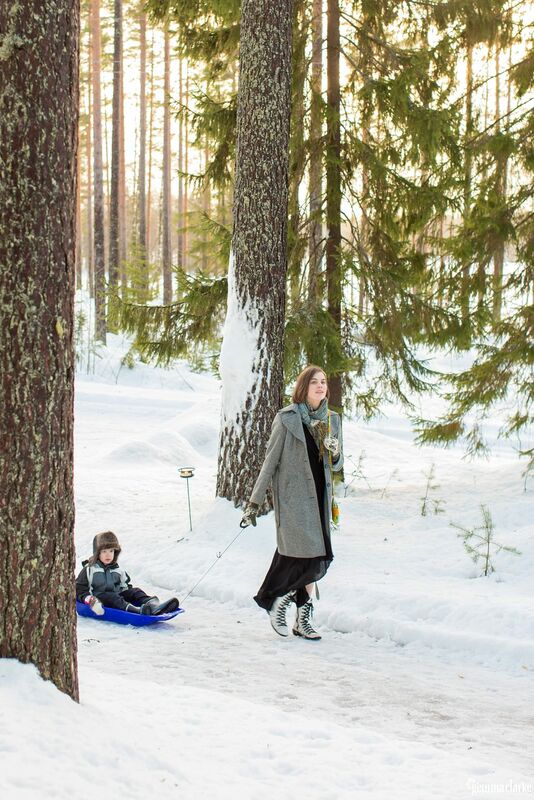 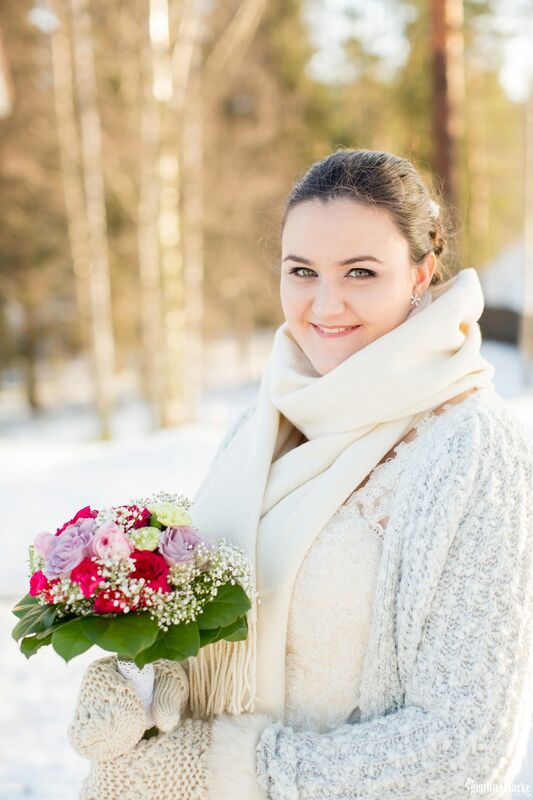 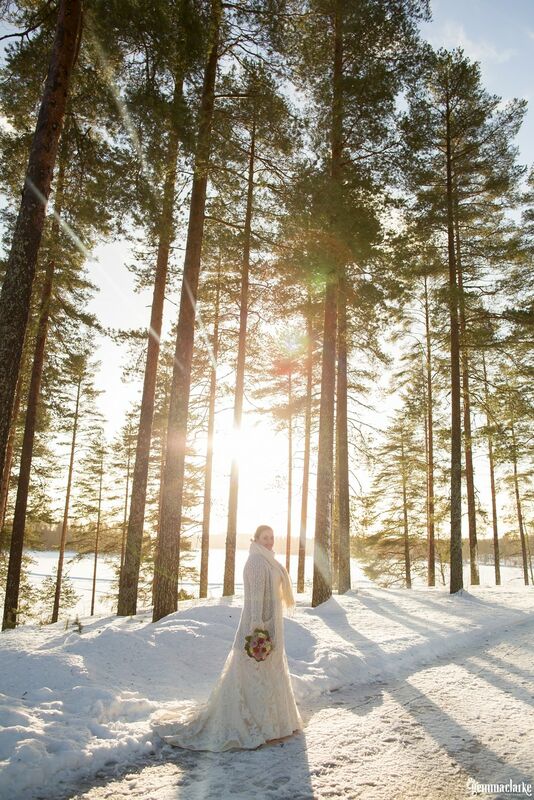 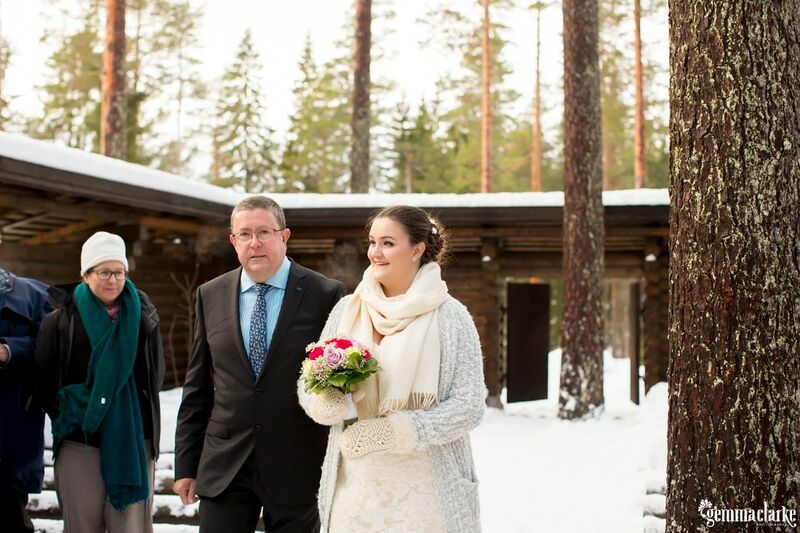 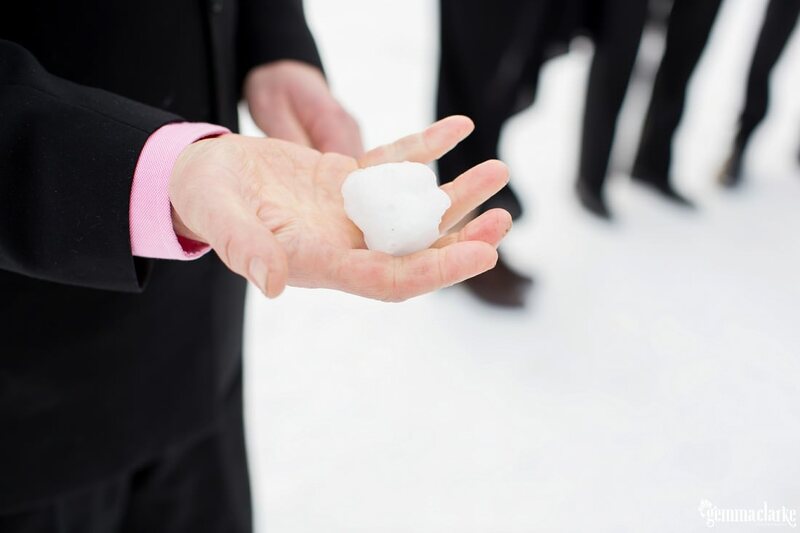 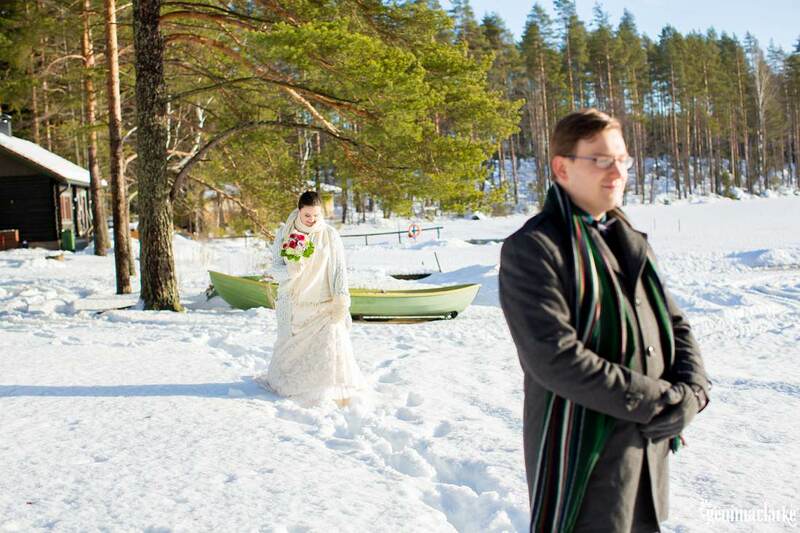 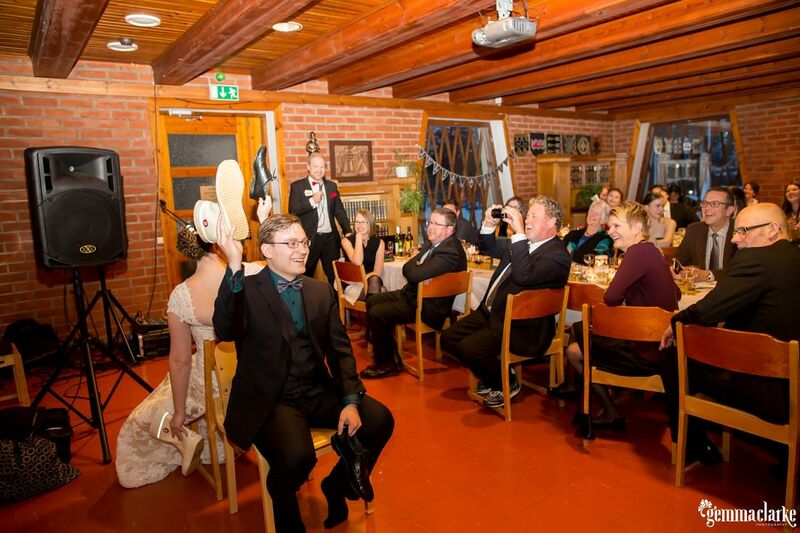 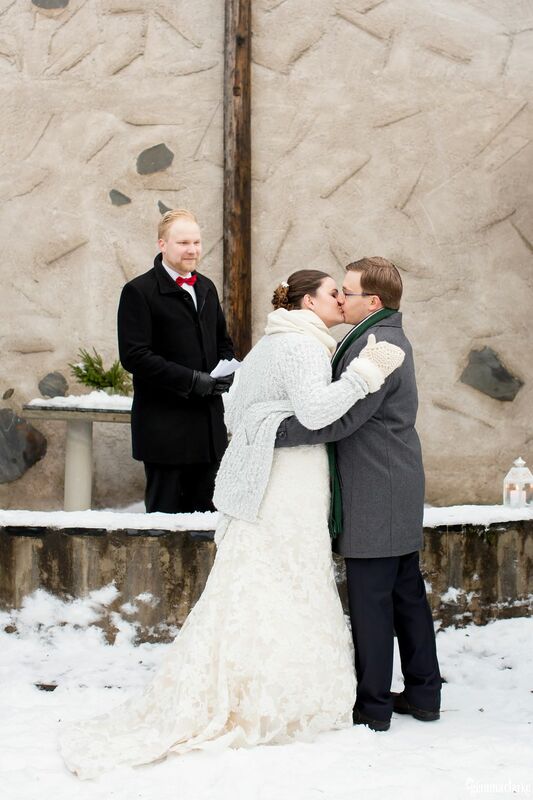 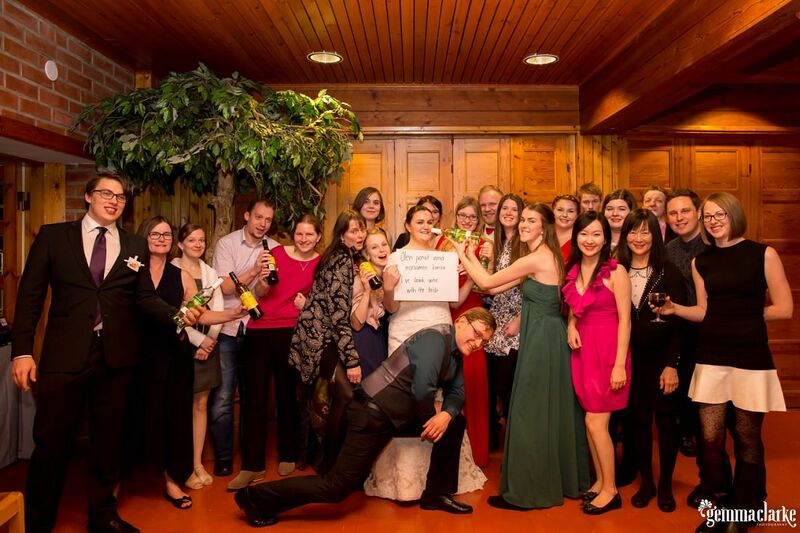 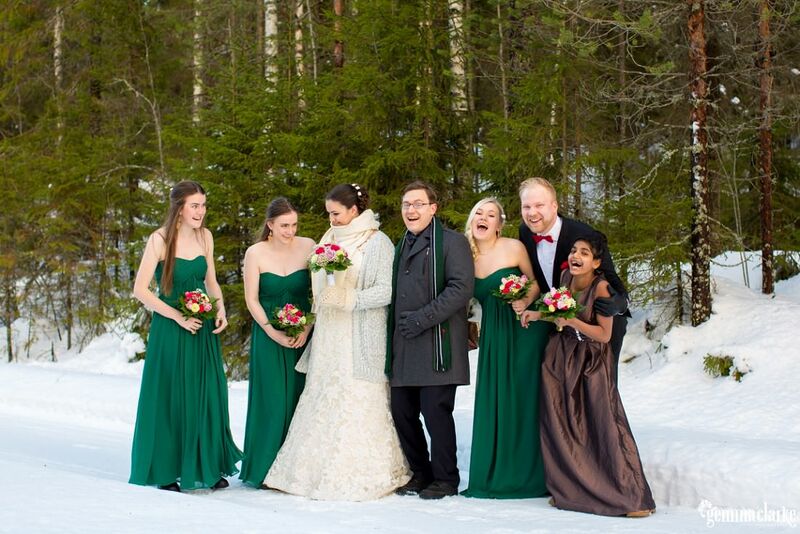 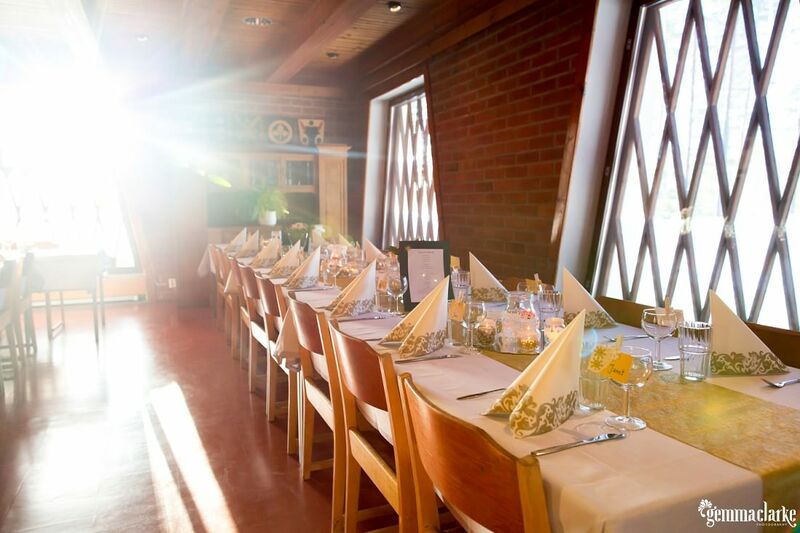 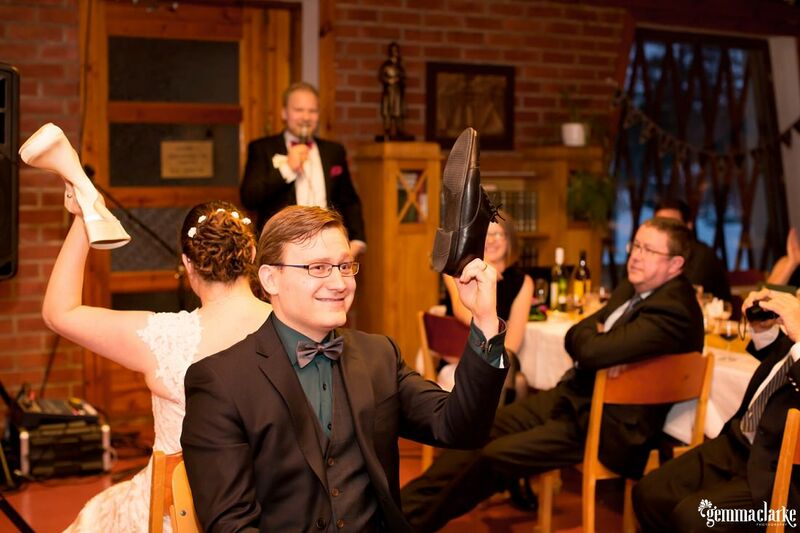 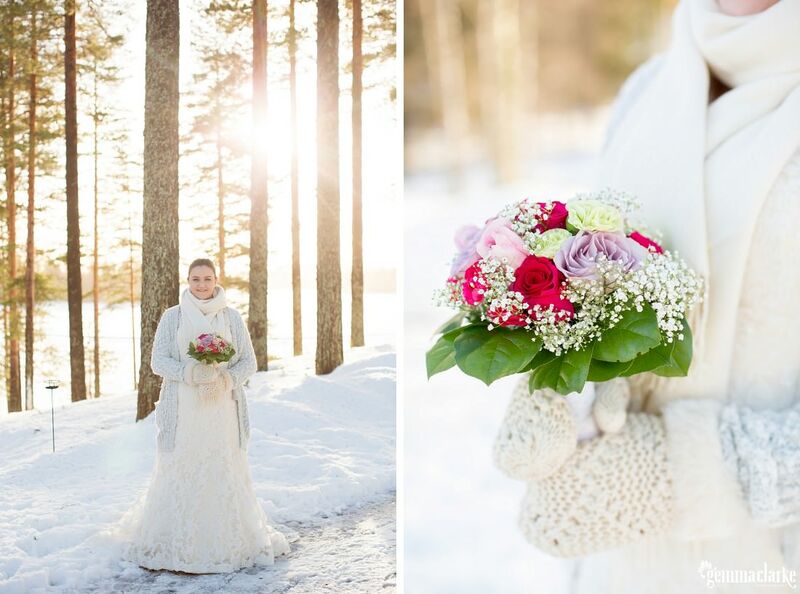 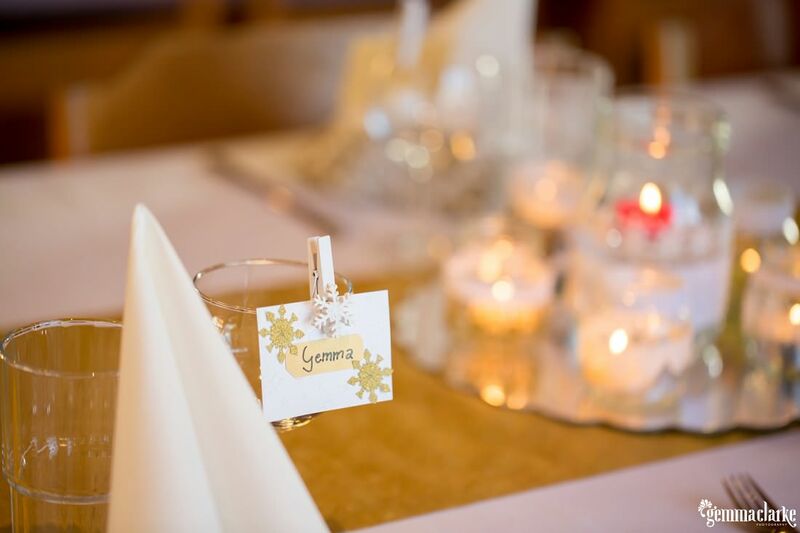 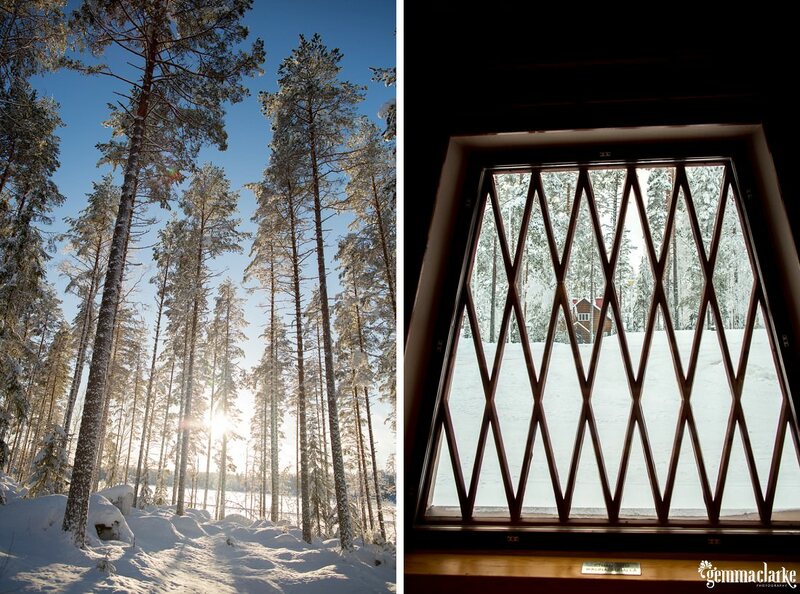 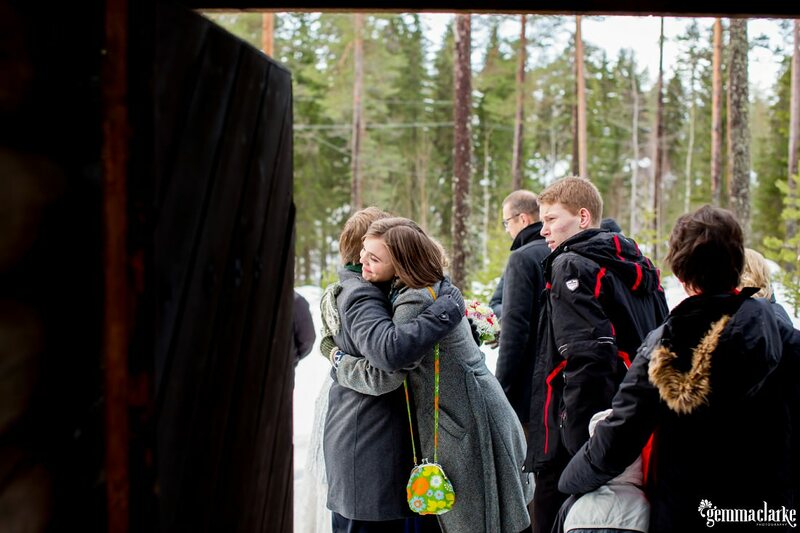 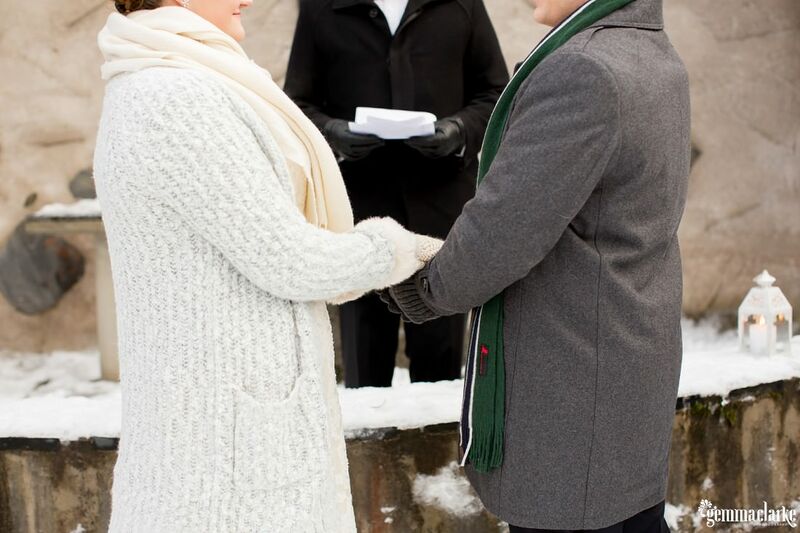 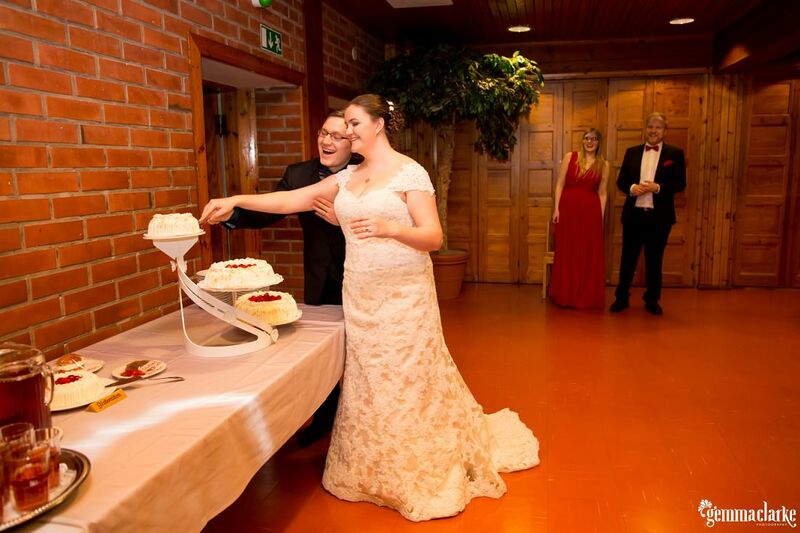 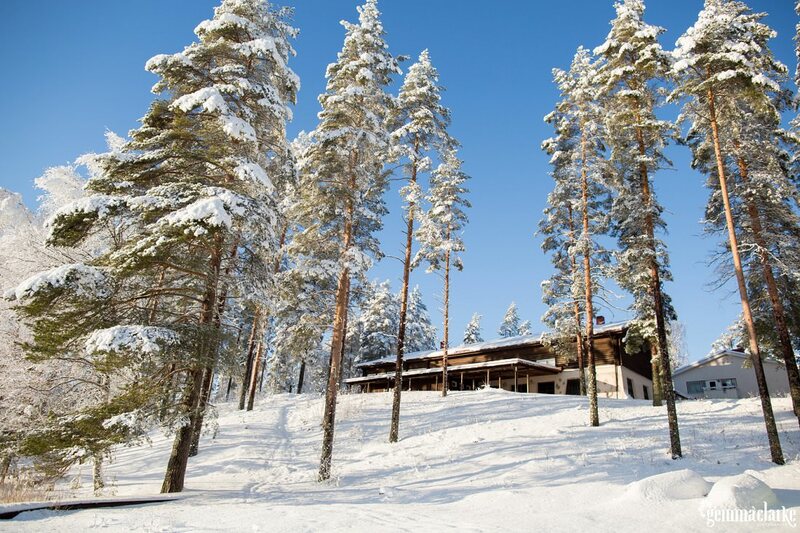 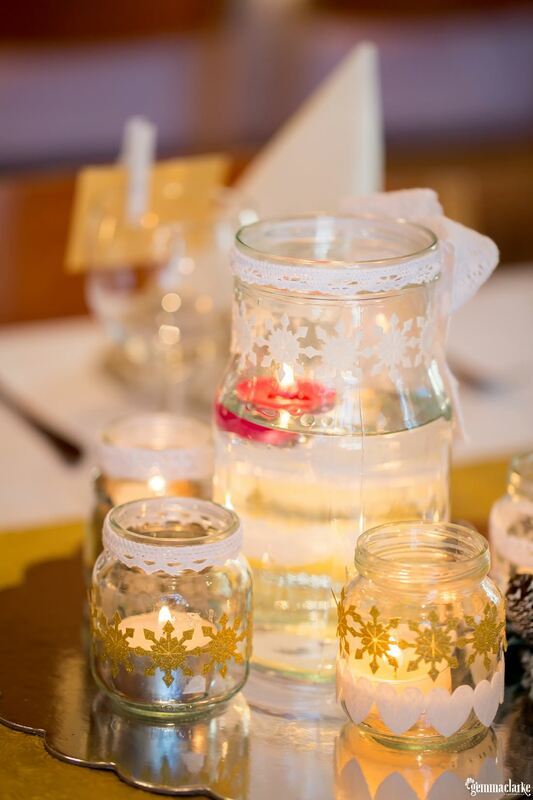 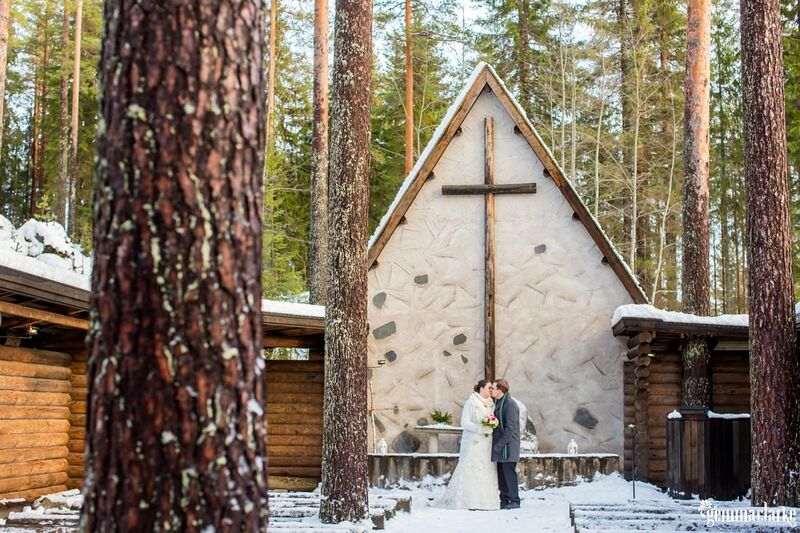 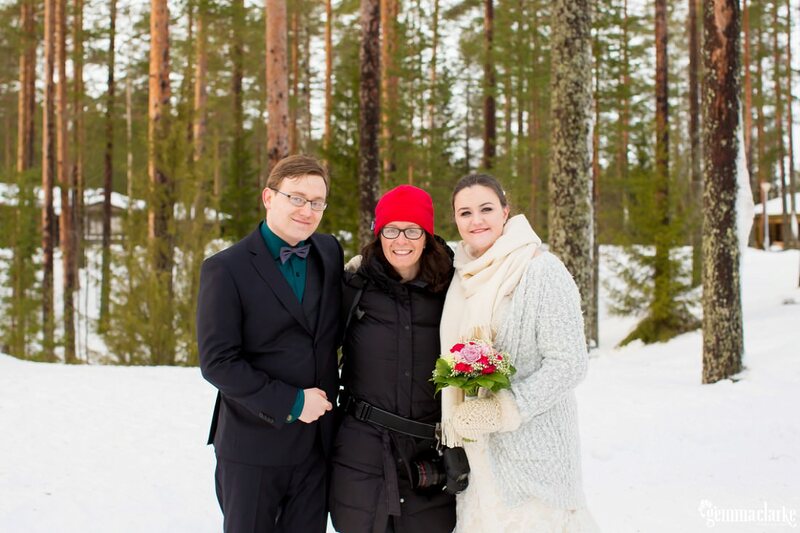 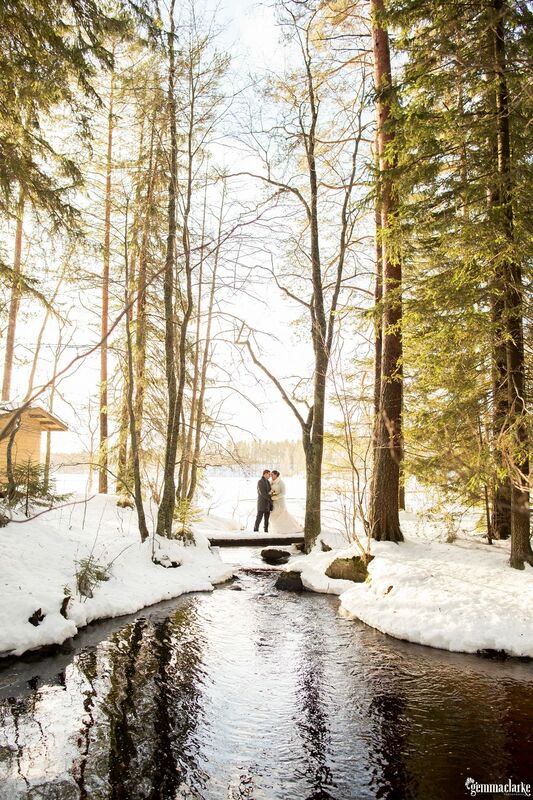 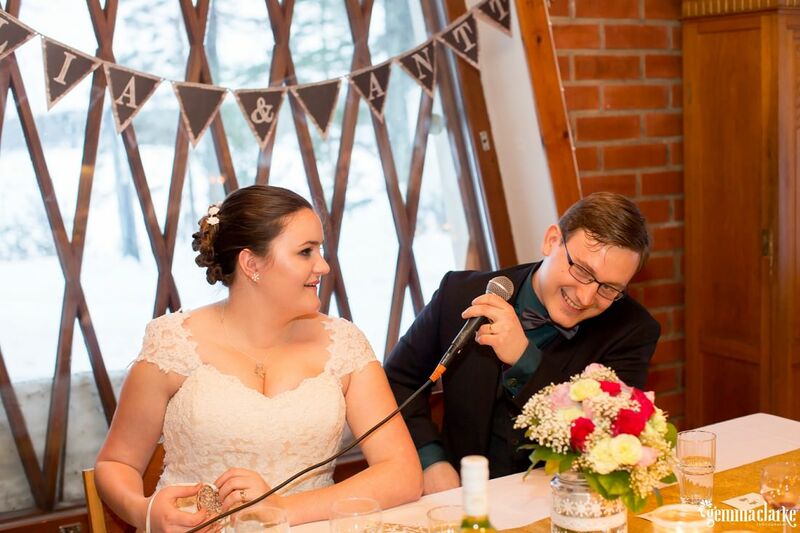 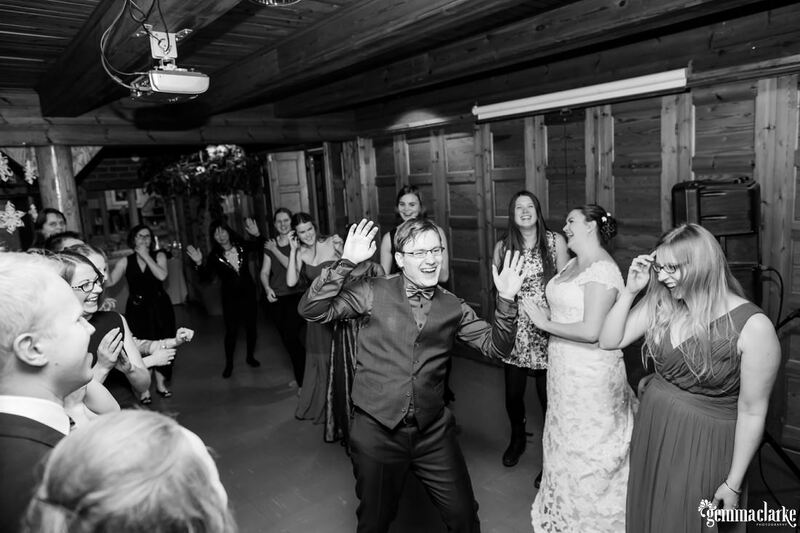 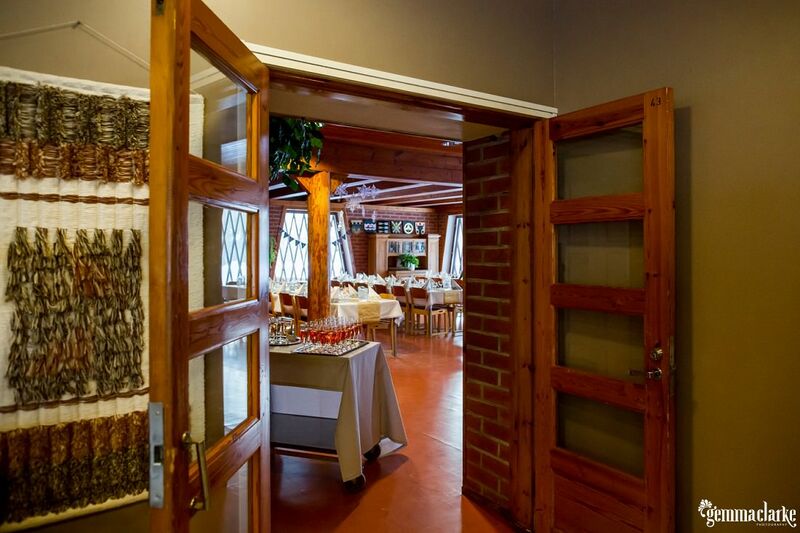 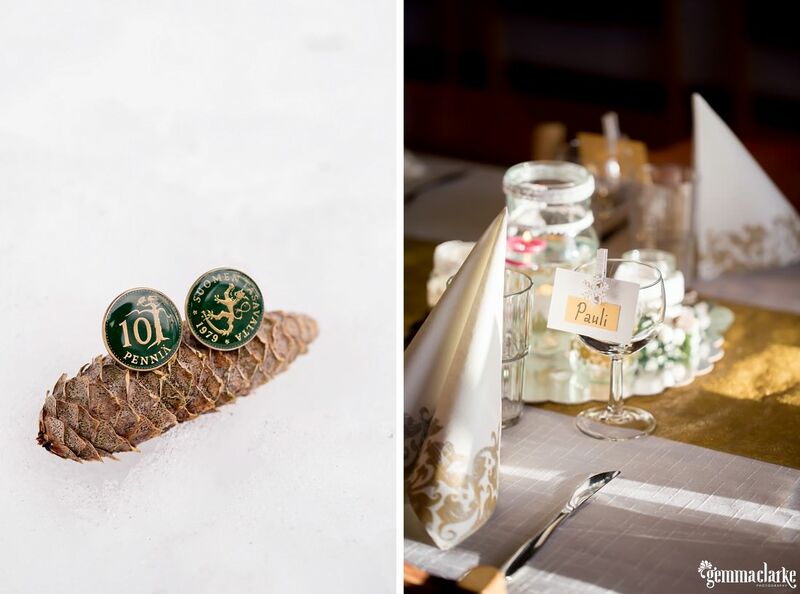 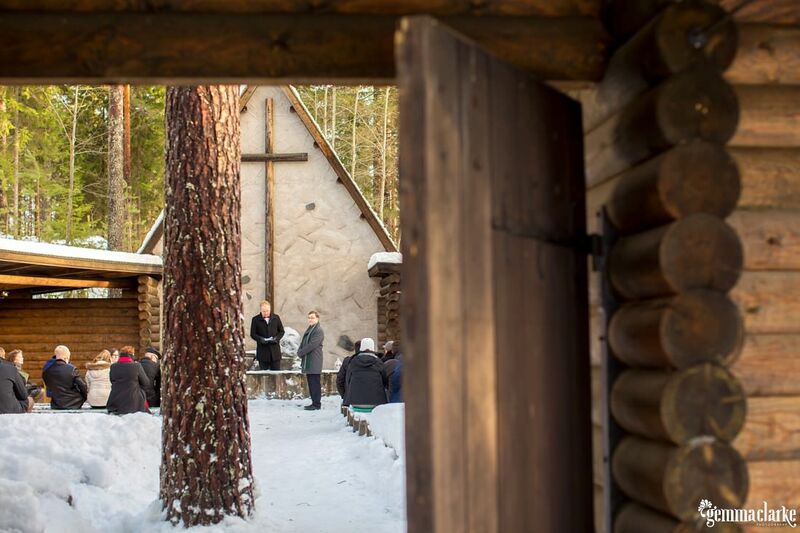 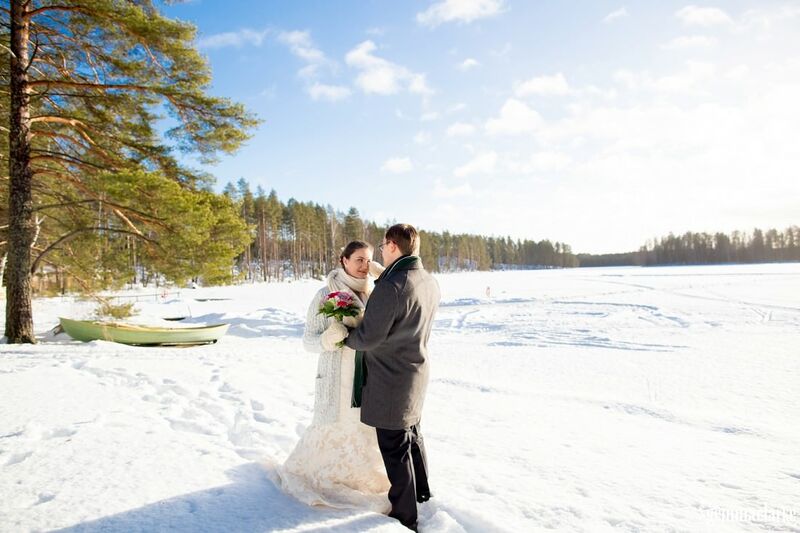 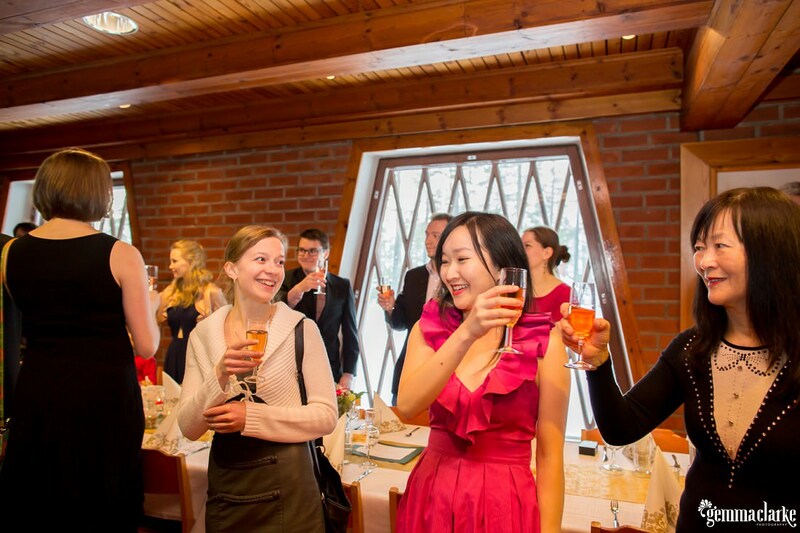 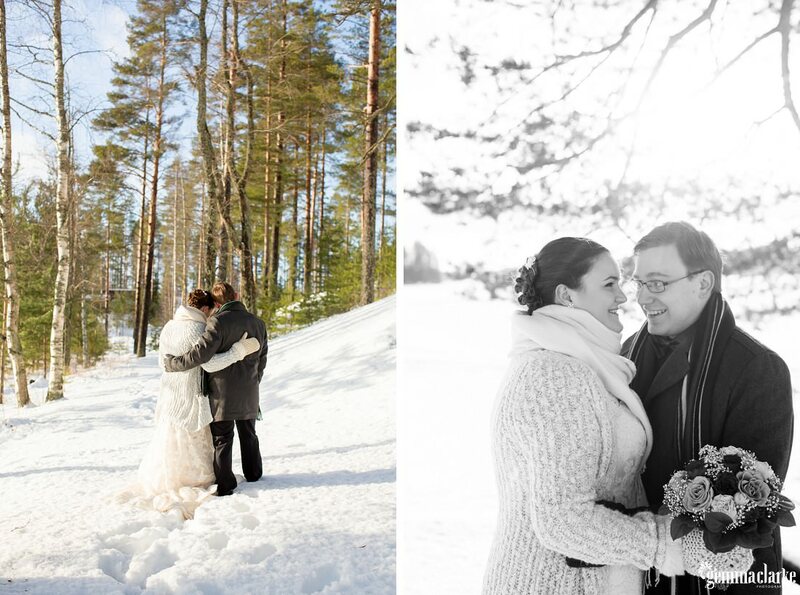 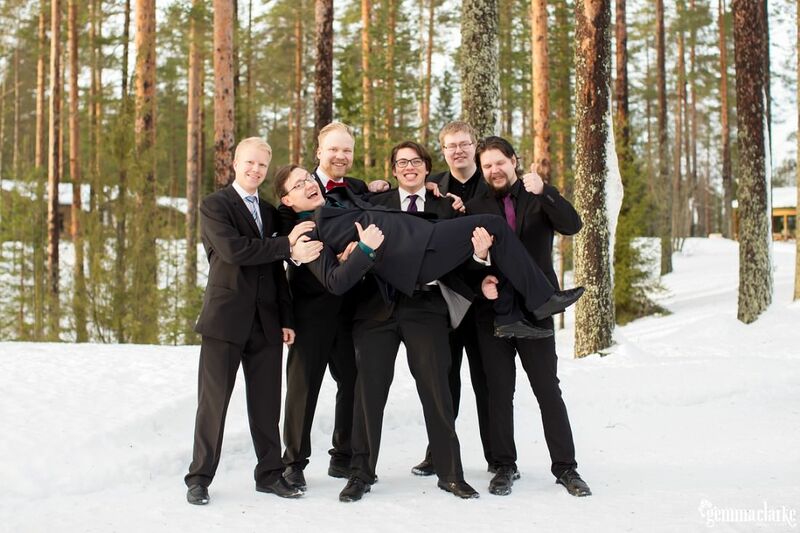 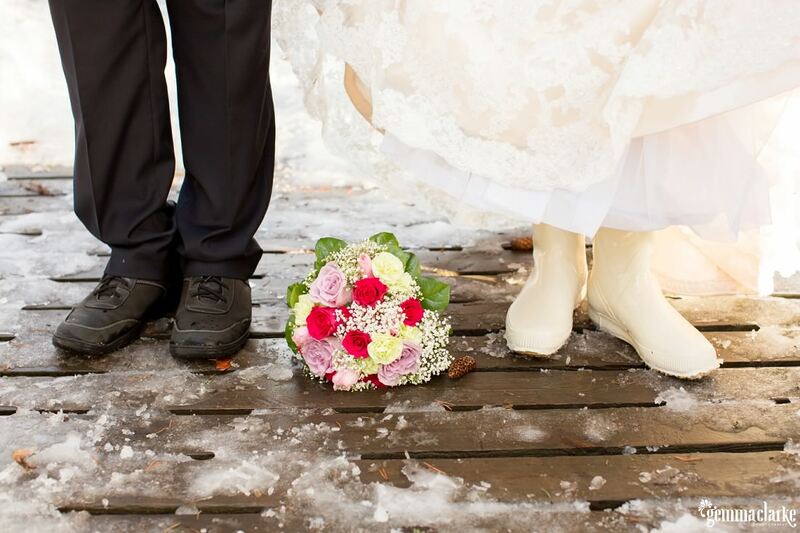 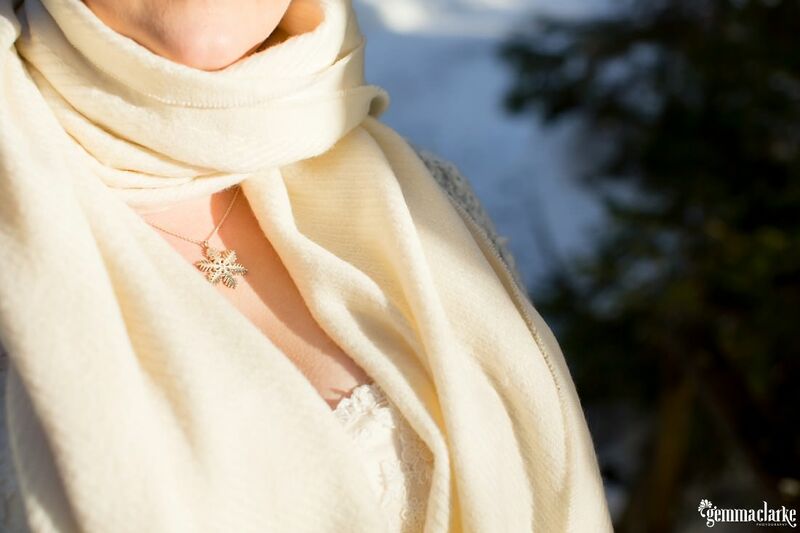 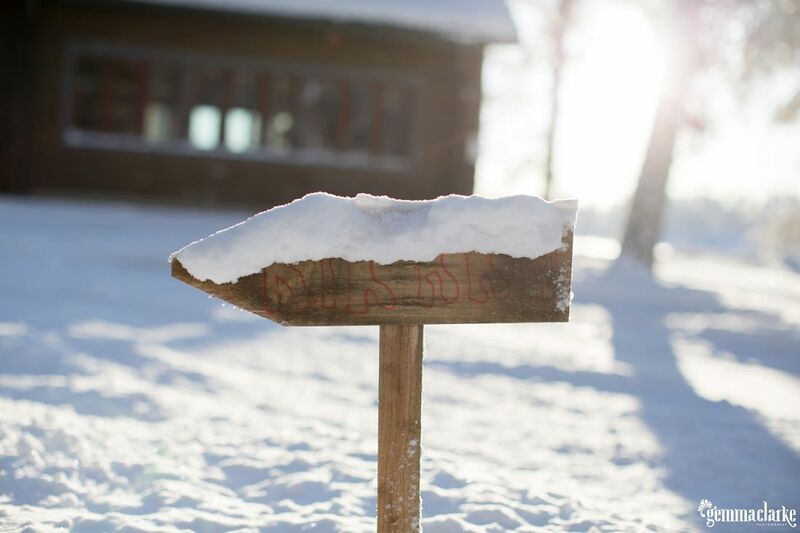 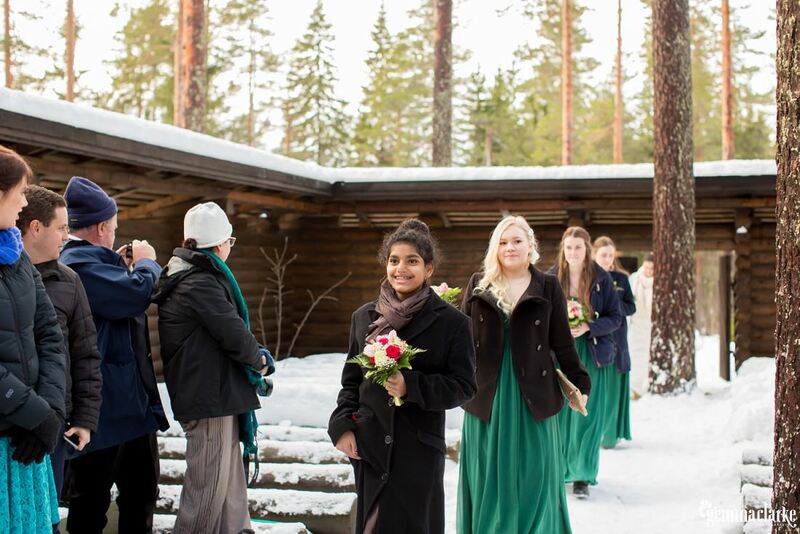 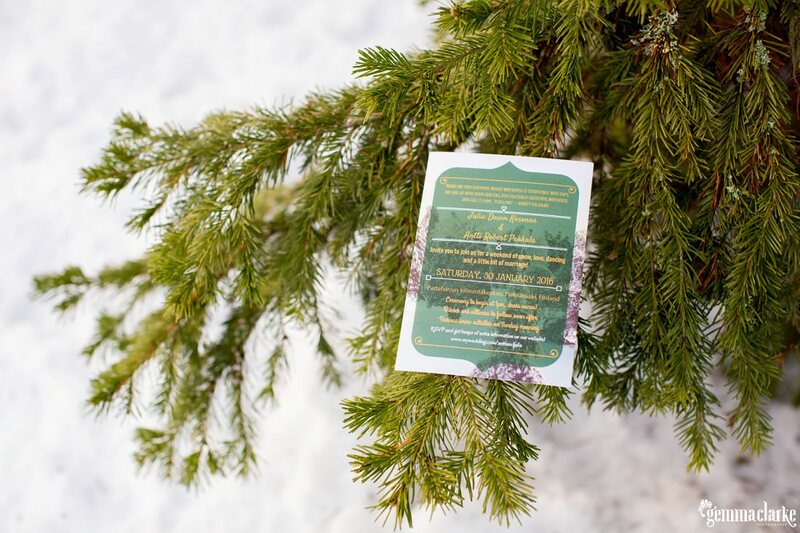 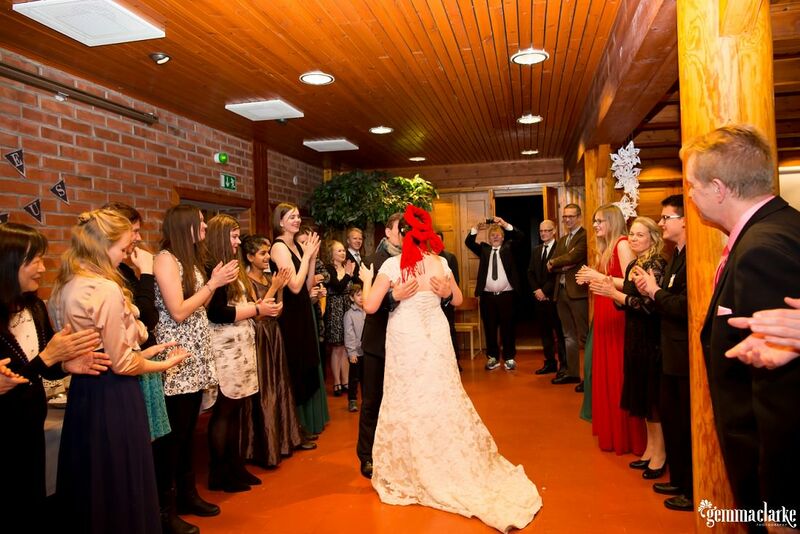 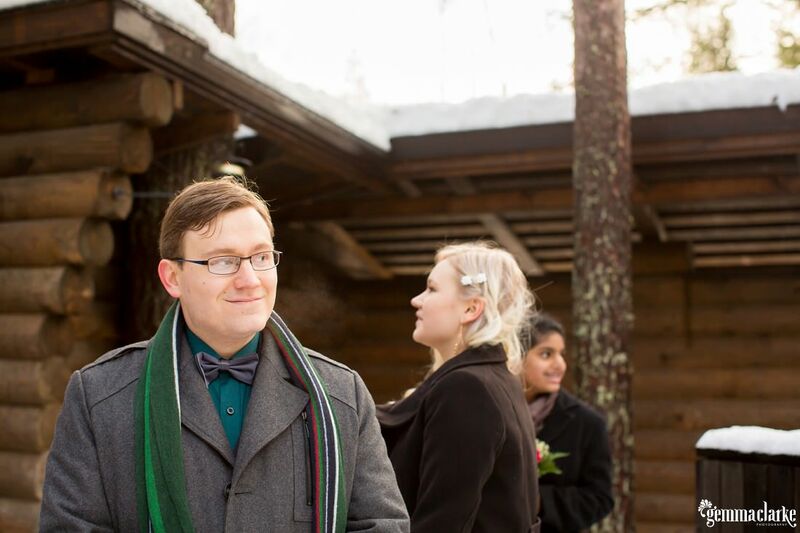 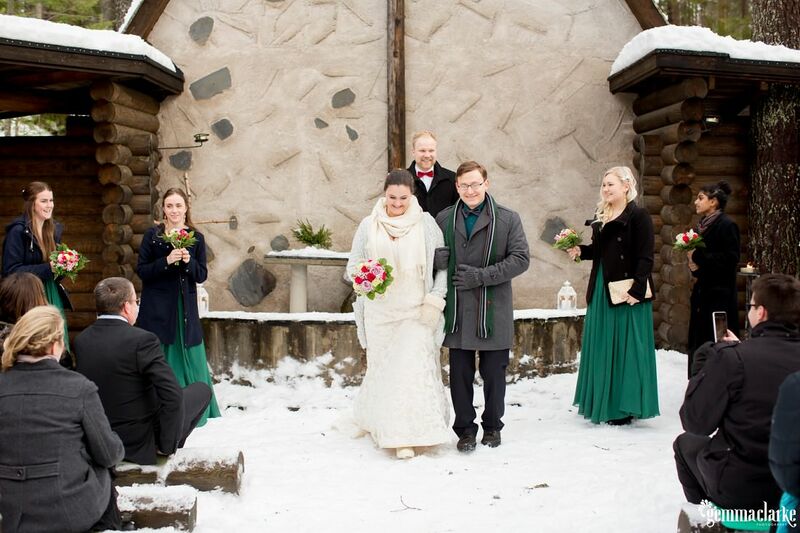 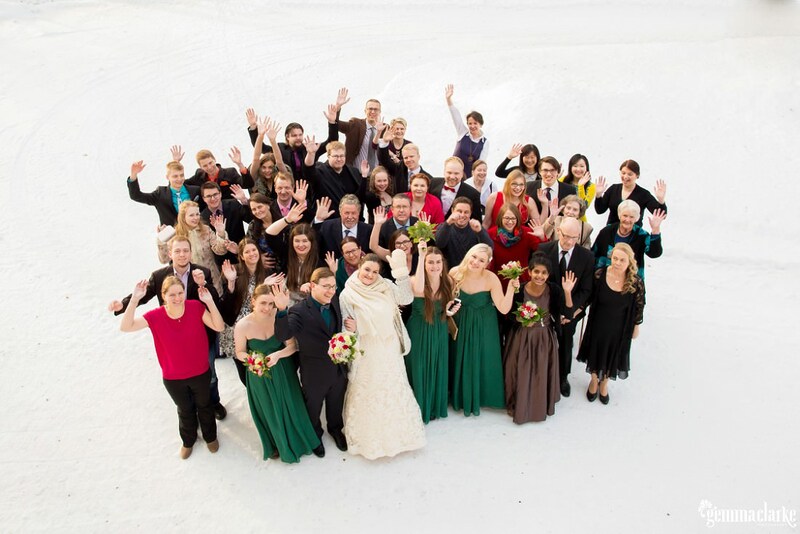 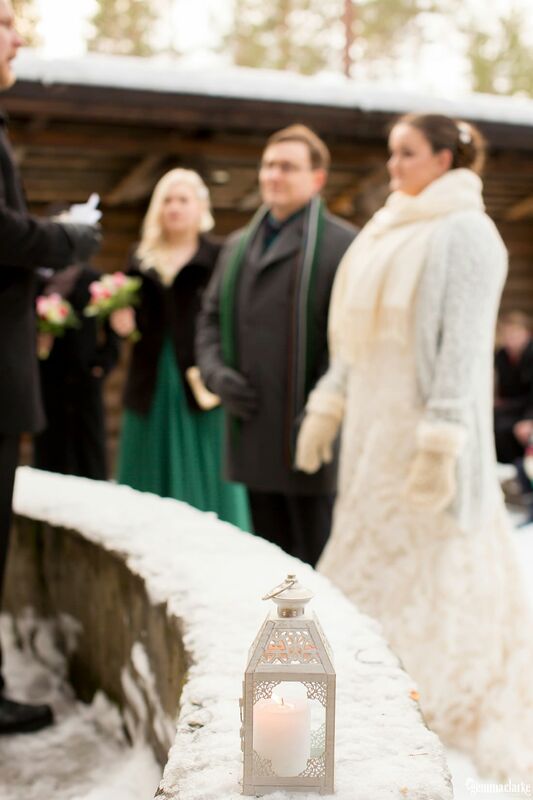 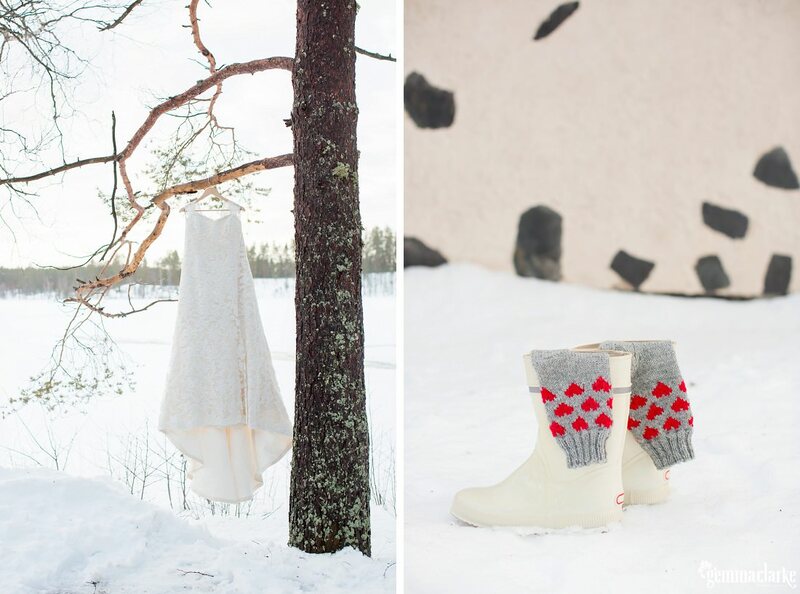 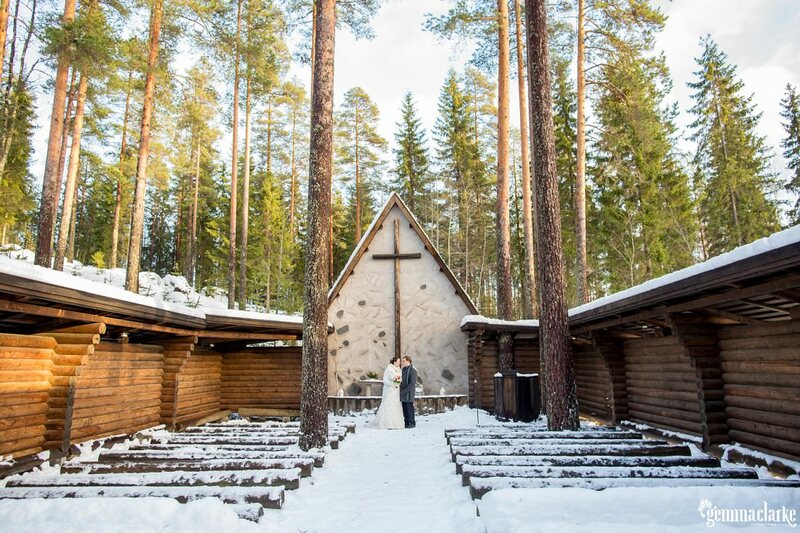 A Winter Wedding in Finland was the perfect choice!